Our first week of Kids Cooking Classes started back this week! We began with baking a recipe of home baked custard creams (much more delicious than shop bought). 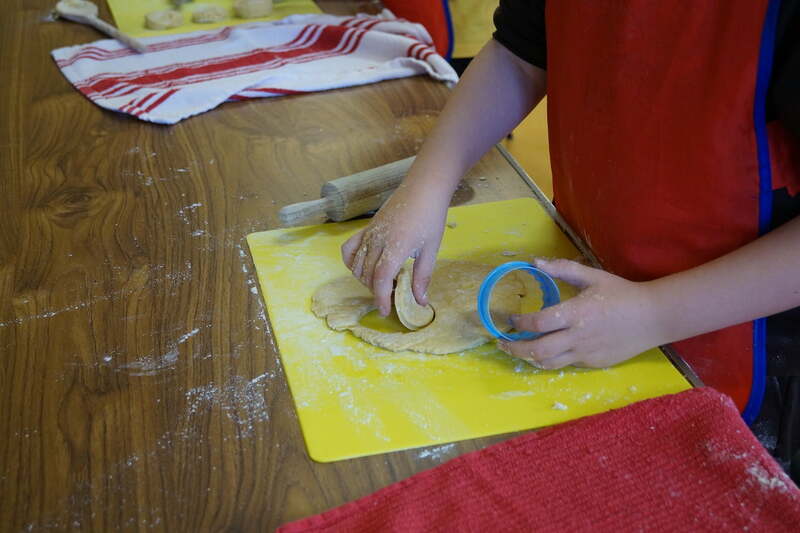 Firstly we took our seats and tied our aprons tight in preparation for some hard work, beginning to make our biscuits we creamed the sugar and margarine together then folded in our delicately sieved flour, custard powder and vanilla essence until a roll-able dough was formed. To get the perfect custard cream shaped biscuit we used our round plastic cutters to cut with precision before placing them on our baking trays. We then started the process of making our very own custard flavoured cream by using a plastic cup and adding the following ingredients; custard powder, sweet icing sugar and rich butter. Using a spoon we then combined all ingredients, which was most definitely an exercise of its own! Once we sat our cup of custard cream aside we had a break and chatted with friends which proved difficult as the smell of our biscuits baking in the oven filled the room with a sweet aroma. As our freshly baked biscuits were brought out of the oven in all shapes and sizes, all that was left to do was to assemble the custard cream with our crunchy biscuits and then of course enjoy check out our photos here. 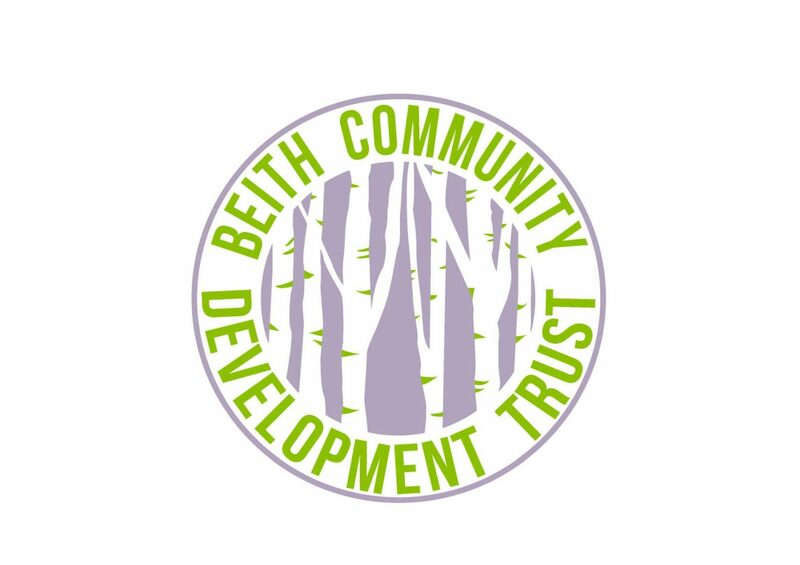 Some progression of skills shown this week a fantastic effort – well done everyone! 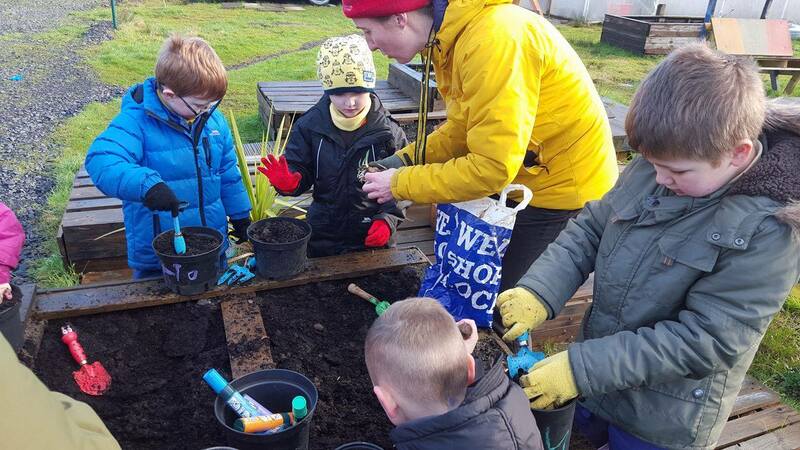 Nurture Group – mini gardeners!